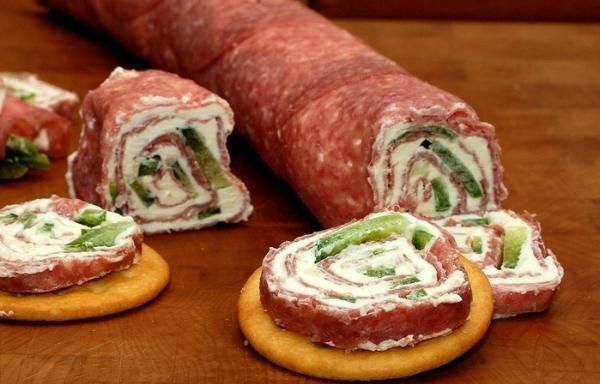 Rolls of ham, cheese, eggs and pickled cucumber — delicious and nutritious appetizer for a festive table. A touch of spice appetizer will add a pinch of black pepper and a couple cloves of garlic. Before serving, snacks should be cool.Prepare the necessary products.The eggs boil hard boiled, cool and on a small grater. Cheese also on a small grater.Pickled cucumber cut into small cubes.Chop the dill. Connect in a bowl the eggs, cheese, cucumber, dill and passed through a press garlic. Season with salt and pepper to taste. Add the mayonnaise.Thoroughly mix the stuffing.In the middle of each slice of ham place 1-2 teaspoons of filling. Roll rolls and fasten with skewer. 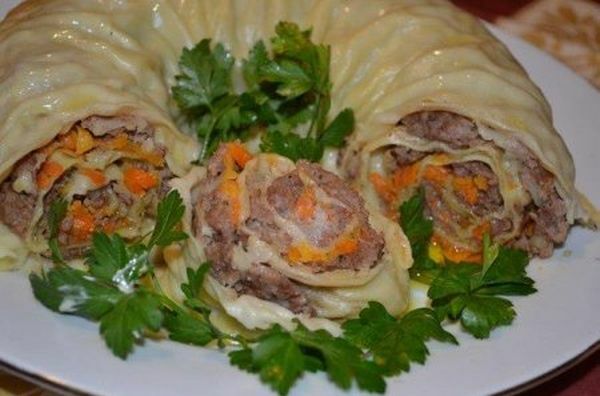 Garnish with parsley leaves. 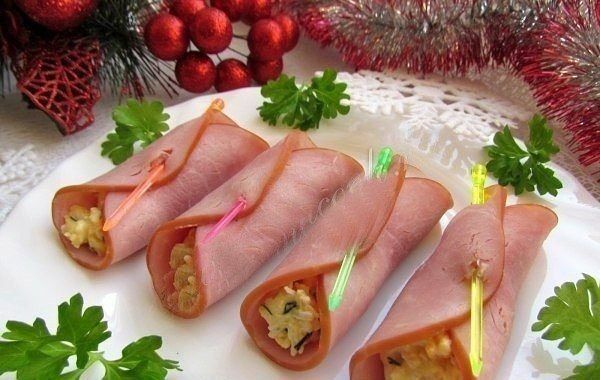 A delicious appetizer of ham with stuffing is ready.